Meet the Hollywood Browzer | Is This Mutton? But now a new device, the very affordable Hollywood Browzer, is here to address these issues. It's long been used in Asia and Hollywood but has not been available in the UK until now. 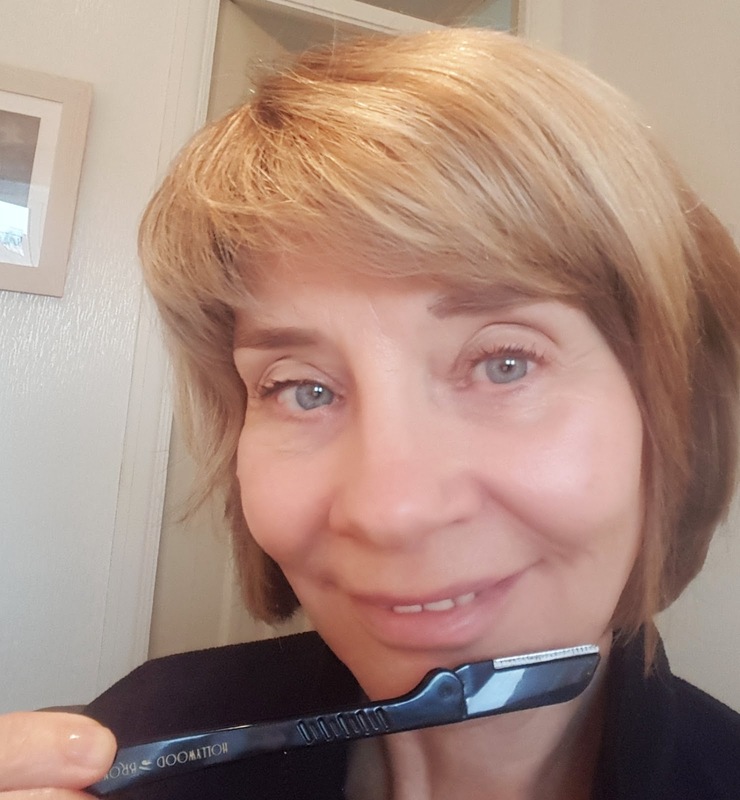 As well as removing peach fuzz, the little tool - which looks a bit like a butter knife - can also be used to groom eyebrows and remove coarse hairs on the chin. You can neaten up your hairline and remove unruly hairs - ideal if you have a bob and the back is cropped very close to your head. So first of all, the unboxing. You get two Browzers plus a pouch in the package. Each blade lasts for two to three months. I was pleased to see there was no complicated instructions or batteries. 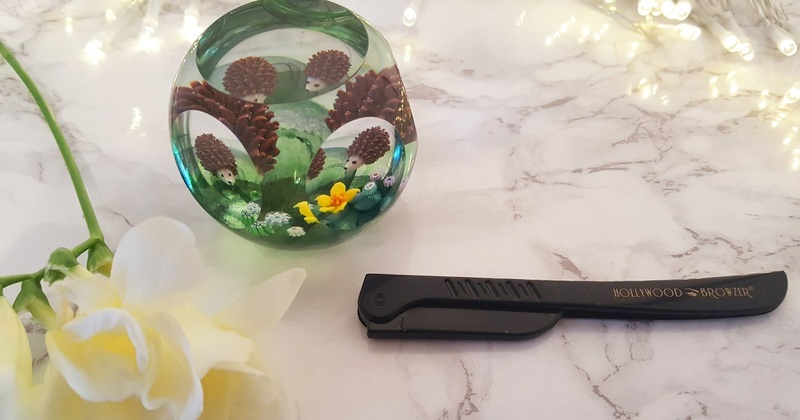 The blade flicks open to reveal a stainless steel waffle coated blade with safety guards on both sides. Initially, I applied it very gingerly as if I was buttering bread, thinking that it might be very sharp and whisk hairs off as fast as a Game of Thrones sword. That isn't the case for safety reasons, so I became bolder and applied a little more pressure. You then see the little hairs and fluff coming off, and you wipe the blade clean. I can guarantee there's no pain, and it's an effective exfoliator as it removes dry skin as well as the hairs. My Gran would have loved this tool. One of my mum's abiding memories is seeing her idly flicking tweezers over her chin, every evening. Having no peach fuzz aura means that I don't have to worry about being seen as hairy in the sunshine, and my makeup looks smoother. A great little tool. Buy it from Hollywood Browzer here. Sharing with Saturday Share LinkUp at Not Dressed as Lamb. Disclosure: I was given a Hollywood Browzer to review but this is not a sponsored post. My reviews are always objective and honest. Sounds like the perfect product! Interesting product! Thanks for the review.